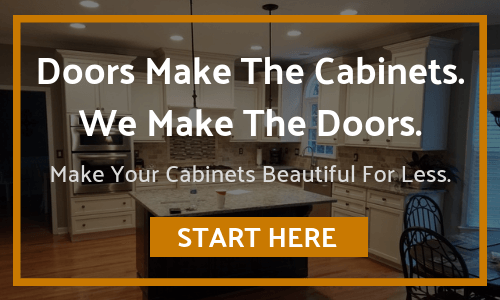 Handmade Doors And Drawers | Buy Factory Direct And Save!! For A Limited Time Get FREE SHIPPING On All Orders Over $500! How to Measure Inset Doors. Click the button below to add the Flat Panel with Arch Door - Oak to your wish list. 2 1/4" wide, standard on all doors. Upon request, they can be made a different size if needed. What is the drawer fee? Although drawer fronts are small, making the drawers is labor intensive. We can't profit from them if we just charge per square foot. 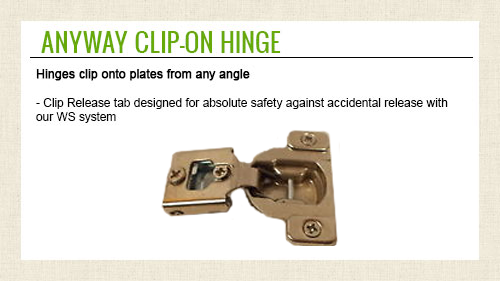 If you are ordering pairs of doors that need opposite hinge sides, please be sure to order a separate door with the opposite hinge side. We will make the number of doors with the configuration you build, per item. Put the finishing touches on your cabinet door or drawer front by adding some of our beautiful hardware to your order now. Scroll down to the right to see more pulls and knobs. The door front has a flat panel with an oval-shaped curve in the top rail. I wanted to add another storage space under the dinette seat and have a cabinet door that matches the other doors. I looked around the web and found Cabinet Door World. The oak arch top door they have is an almost exact match, the price was reasonable and they had a free shipping offer. The door came in less time than their typical turnaround time and the quality of the piece is superb, ready for finishing. I'm very pleased with the result. Well constructed and they were able to customize it with the arch on top and bottom rails. The doors were perfect in size and craftsmanship. Took about 3 weeks to arrive but the wait was well worth it. Customer Service was able to tell me within a day of when they would arrive at my door. Purchased one door to match doors in my RV. I was impressed with the quality of the door. Delivery was very prompt considering that I only ordered one door. "The nine drawer fronts we ordered were made to the exact dimensions specified and the oak was of excellent quality, free of knots. We painted them, but they would have looked fine if stained. I would definitely order from them again." © 2019 Cabinet Door World USA, Inc.